Each time Nora Struchtrup stepped onto the pitch at the 2019 Train 2 Compete Regional Championship she was fully focused, ready to make an impact for her Island Stingrays team. That doesn’t mean you won’t catch her smiling away on the pitch as a result of her genuine love for the game. The 16 year-old Victoria native played a huge role in the victory of the Island Stingrays at the Train 2 Compete Tournament. Her first quarter goal in the gold medal game led the Stingrays to a 1-0 win over the Northwest Jellyfish. 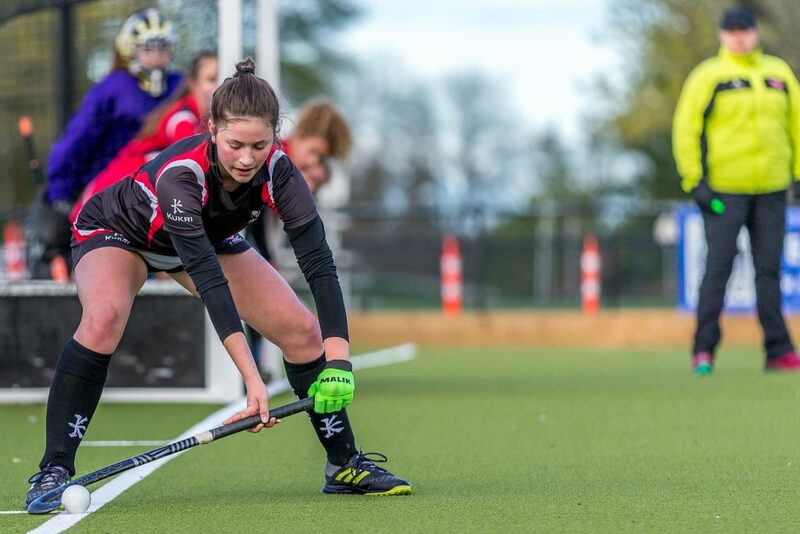 As a natural forward with her speed and skill on display, Struchtrup’s standout performance has landed her a spot on the U18 BC Stags. 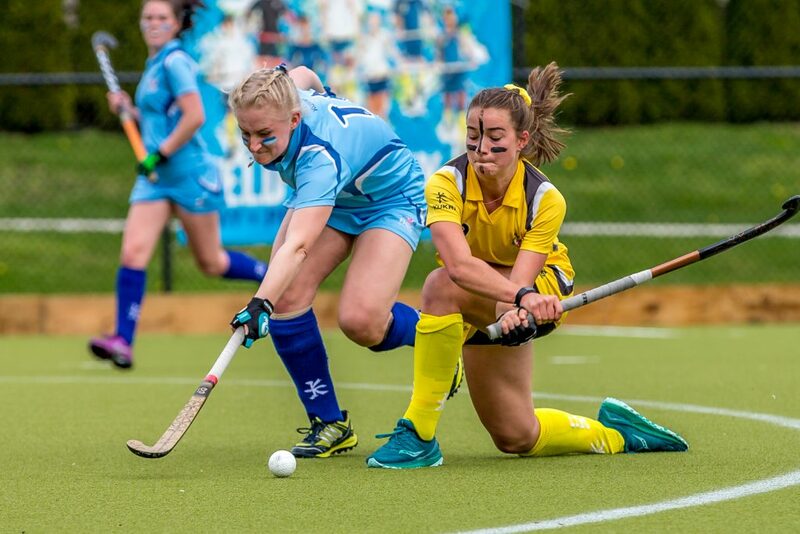 Struchtrup first played field hockey when she was 11 years old with the Victoria Rising Stars program and despite trying many other sports, nothing was ever quite the same. Her first experience with Field Hockey BC was in the Learn 2 Train program and she has continued with the high performance program ever since. In her first year of Train 2 Train, Struchtrup was selected to the reserve pool for Team BC and one week before the National Championships, she got the call inviting her up to the BC White team. She has since played for the U15 BC Stags and last summer, the U18 BC Lions. Her team turned some heads at the 2018 National Championships in Toronto where they came in and defeated one of the favourites in Ontario West on the first night of the tournament. After last year’s fourth place finish at Nationals and going into her fourth National Championships this coming summer, she sees the National Championships as a huge motivator to continue to improve and push for the next level. 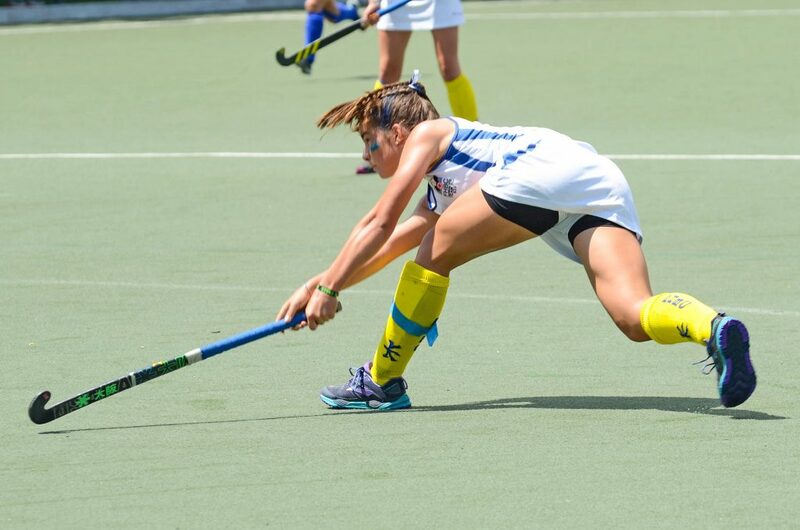 Nora Struchtrup in action with the U18 Lions at the 2018 National Championships. Struchtrup will be taking another step in her field hockey development this summer, as she will have her first opportunity to play with the Field Hockey Canada NexGen Squad. She was recently invited to the U17 tour in Belgium and the Netherlands which will take place prior to her participation in the National Championships. This opportunity is extra special for Struchtrup as her extended family lives in Germany and will be traveling to the Netherlands to watch her play. Beyond this summer, Struchtrup has her sight set on making the Canadian National team one day. 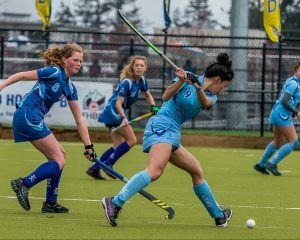 She also aspires to go to UBC or the University of Victoria to study and play field hockey and with her German heritage, maybe even attend school there and play field hockey for a German club team. The future certainly looks bright for this young athlete from Victoria and we can’t wait to follow her progress at the National Championships and beyond! When the U18 boys took the pitch at the 2019 Regional Tournament, you could find Daniel Goodwin calling the shots for his team from the best view on the field. As a goalkeeper, Goodwin is constantly communicating with his teammates and trying to help them see the plays that might only be visible from his perspective. Goodwin has earned a spot on the U18 BC Rams who will compete at the 2019 National Championships in Surrey, BC July 3-8, 2019. His field hockey career started with the West Vancouver Field Hockey Club when he was 10 years old, who he still plays for today. He started as a field player, but the first time he tried goalkeeping he never looked back. His first year with the Regional program was the first year that the program was available for the boys. He was not selected to a BC team in his first year with the Program, but he kept going out and working hard because of the people and the training environment. Daniel Goodwin in action at the 2019 Train 2 Compete Regional Tournament. As a grade 12 athlete, Goodwin is in his fifth and final year with the Regional Program and will be competing at Nationals for the last time at the Junior level. This will be Goodwin’s first time as the BC Rams goalkeeper after playing for the U18 BC Lions the past two years. The U18 Rams will be looking to improve on their bronze medal from the 2018 National Championships in Toronto, Ontario. For Goodwin, the Provincial Program is an opportunity to build as a team and play at the highest level representing British Columbia. Daniel Goodwin (back row, second from right) with the 2018 U18 BC Lions. With his Junior career coming to a close, Goodwin is excited to be starting his Psychology degree at SFU next year while playing for the West Vancouver Premier team. He plans to continue on with the Field Hockey BC U23 Program, available as a summer program for 19-23 year-old athletes. “I trained with the U23’s last year before Nationals and I really enjoyed it, there were a lot of highly skilled players there so I would definitely like to try the U23 Program,” said Goodwin. He will also continue training with the Junior Development Squad in hopes of making the Canadian National Team and ultimately competing at the Olympics. He also aspires to take his field hockey career overseas and play in Europe or the UK. 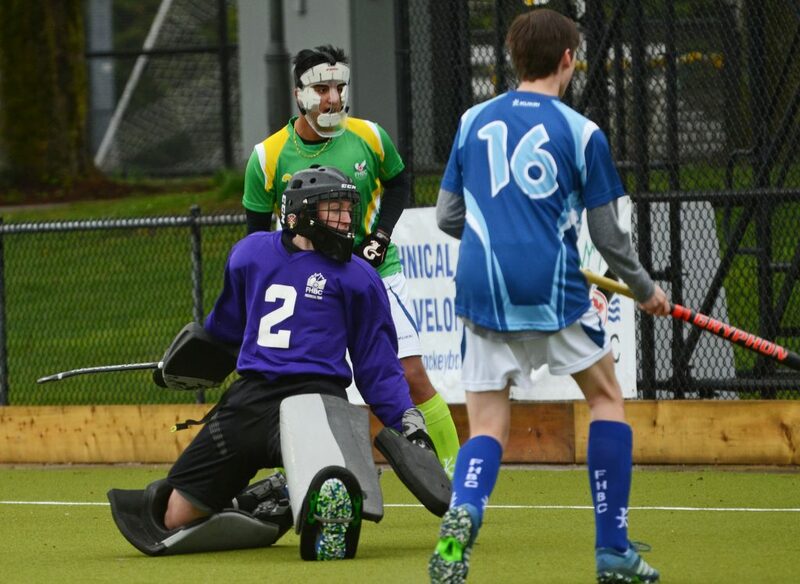 With so much to look forward to, we are excited to watch this young goalkeeper as he competes at the National Championships in July and continues to develop in the years to come! Eve Carrothers is the midfielder that every team needs. Her calm and collected strength is what makes her often the most reliable player on the field. 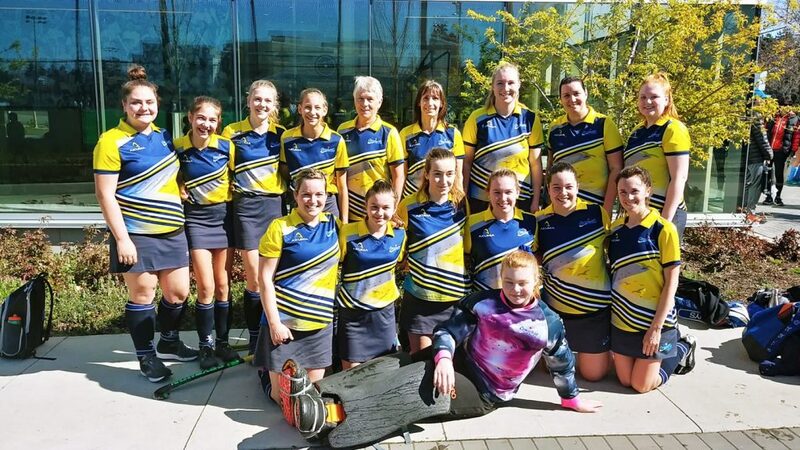 In her grade 12 year, the Tsawwassen native will be competing for the U18 BC Rams for the third consecutive year after a strong showing at the 2019 Regional Tournament with the Southeast Killer Whales. Coming from a family of soccer players, Carrothers started off playing field hockey for the Delta Falcons just as a fun sport in the off season. All of that changed when she joined the Field Hockey BC Regional Program and had her first opportunity to play at the National Championships. Carrothers has been training with the Southeast Regional program for the past five years and has been selected to a Provincial team every year. Last year, her U18 BC Rams team earned the elusive gold medal, which they had lost to Ontario for the past few years. For Carrothers, this was a huge accomplishment as it was her first ever gold medal in four years playing at the National Championships. 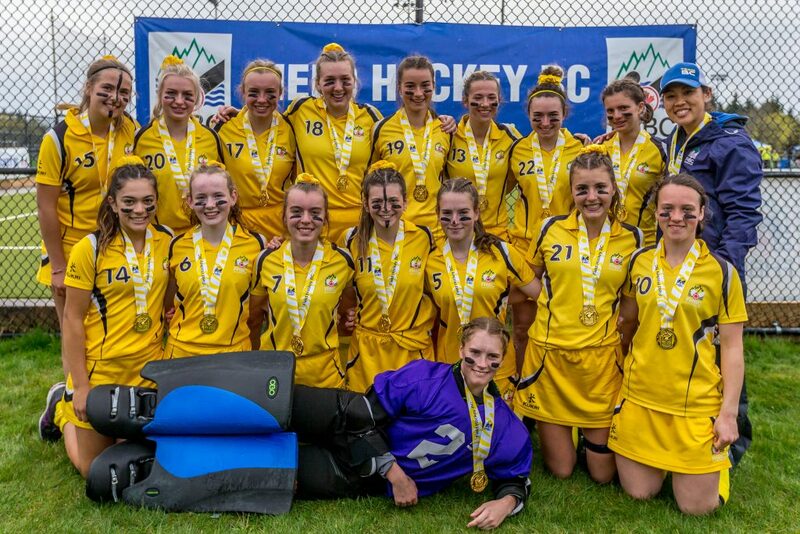 Eve Carrothers (bottom right) with the U18 BC Rams after winning the 2018 National Championships. In her final year playing with at the U18 National Championships, Carrothers hopes to be a leader on her team and influence her younger teammates as they look to repeat last year’s gold medal victory. They will be up against some tough competition between their Ontario rivals and two other BC teams, as well as teams from Alberta, Quebec and PEI. Carrothers plan to continue her field hockey career next year likely at the University of Toronto where she can take her field hockey to the next level while pursuing a degree in Geophysics. 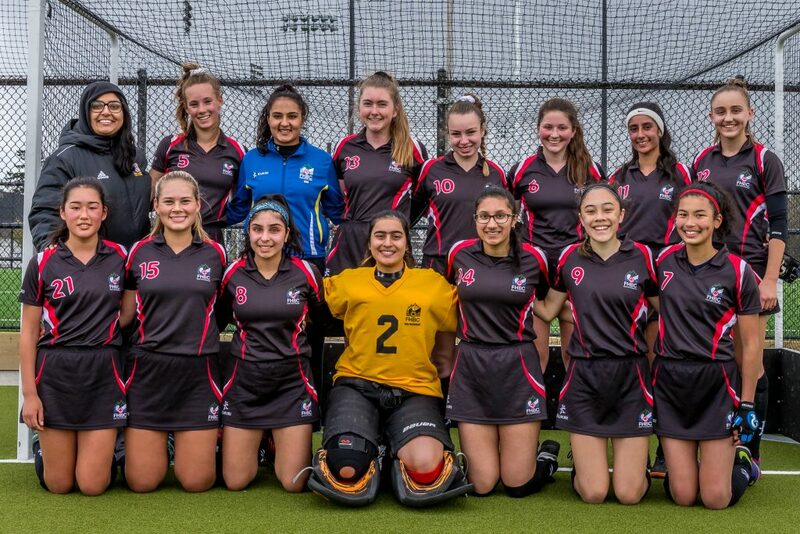 We are excited to follow Carrothers and the rest of the U18 Team BC athletes as each team pursues the gold medal at the U18 National Championships in Surrey, BC July 3-8, 2019! 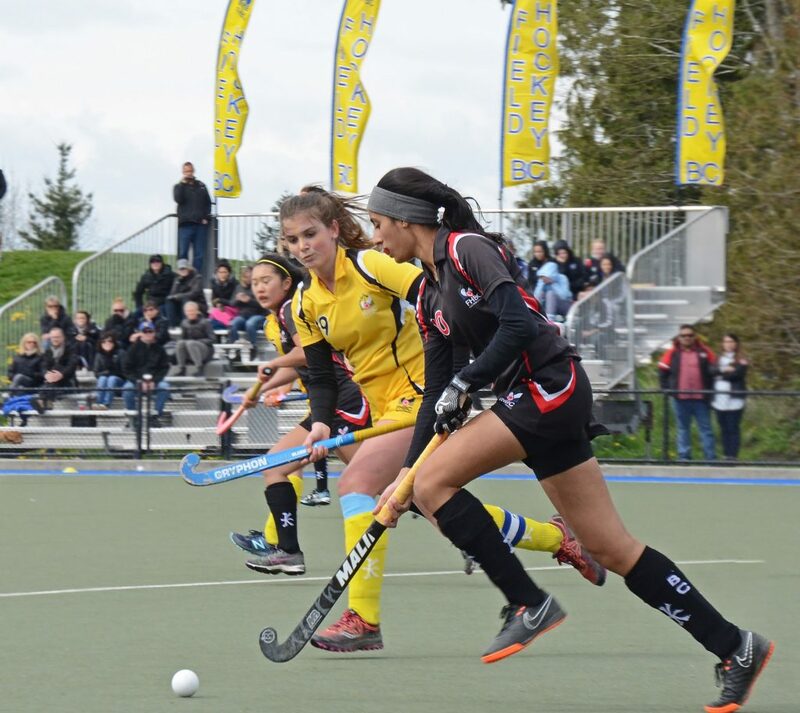 On April 11-14, 2019 the Field Hockey BC Train 2 Compete Regional Championships took place at UBC Wright Field in Vancouver, BC. 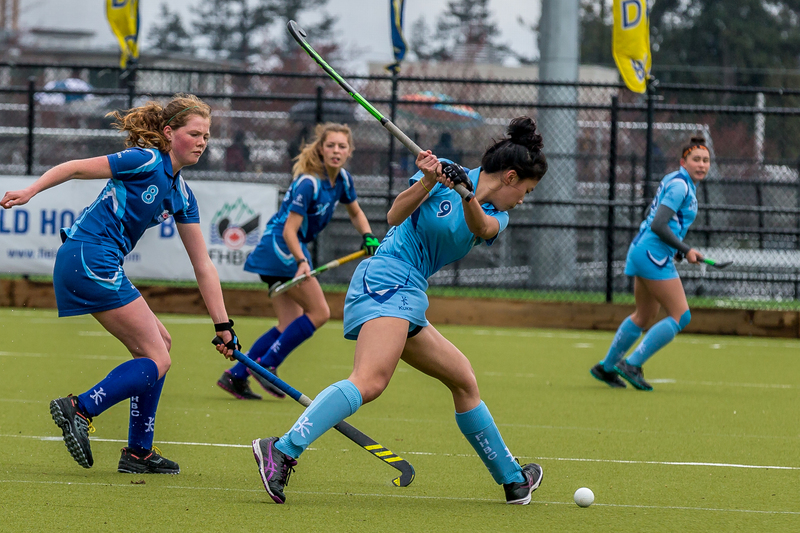 This high performance event saw teams from the Lower Mainland, Vancouver Island, the Interior and Alberta compete for the title in both the girls and boys divisions. In the girls division, both teams from the Vancouver Island and Northwest regions qualified for the semi-finals. In the first semi, the Island Stingrays edged the Northwest Sharks by a score of 1-0 on a 3rd quarter goal by Julia McDermott. The second semi-final saw the Northwest Jellyfish and Island Barracudas take a 2-2 tie into a shootout. The Jellyfish came out on top with shootout goals by Allison Kuzyk, Madeleine Wong and Kate Rogers. The Barracudas took bronze with a 4-1 win over the Sharks. The gold medal game was a thrilling battle between the Stingrays and the Jellyfish. Both teams played hard, but an early goal by Stingrays’ forward Nora Struchtrup was the difference as the Stingrays held onto a 1-0 win to take the gold medal. In the boys division, a four game round robin saw the Condors come out on top with three wins and one tie. The runners up from the Ravens claimed the silver medal. 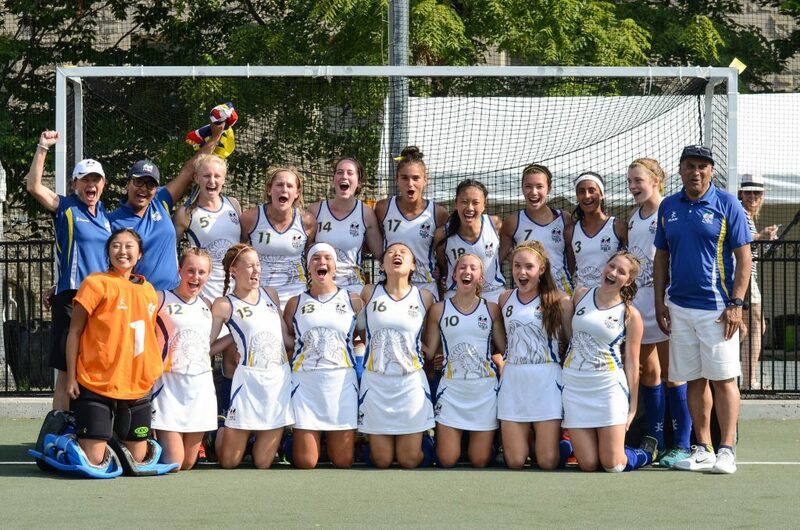 For a full recap of scores and results, visit the Field Hockey BC Altiusrt page. This tournament was also the selection point for the U18 BC Teams that will represent our province at the 2019 National Championships. Selections will be announced later this week. 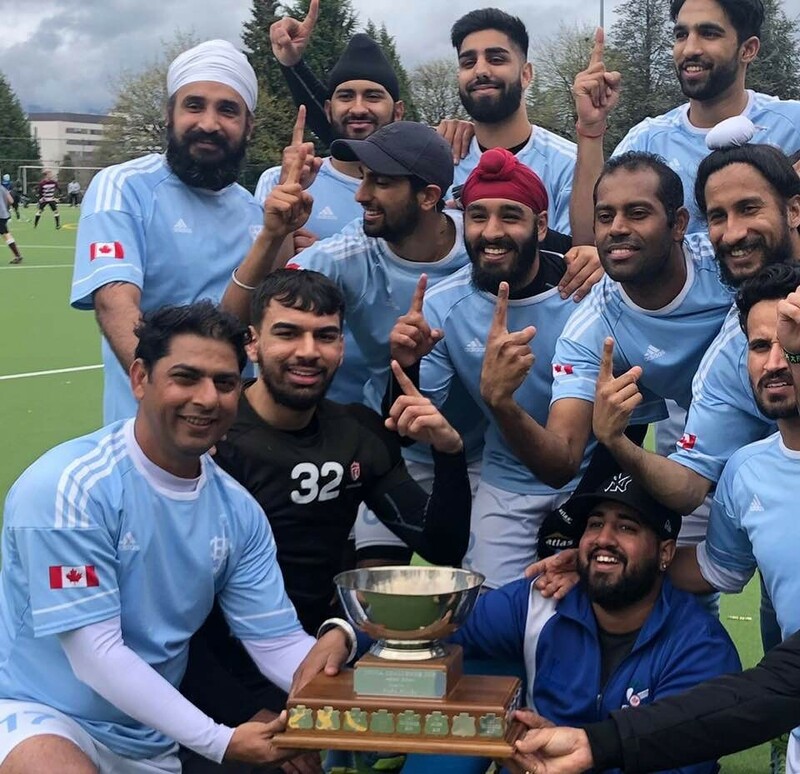 From April 25-28, 2019 Field Hockey BC will be hosting the Train 2 Train Regional Festival at Tamanawis Park, Surrey. Stay tuned for more details! Thank you to all players, coaches, volunteers, administrators and officials for making this another successful season! Visit the VFHL Website for a list of results. 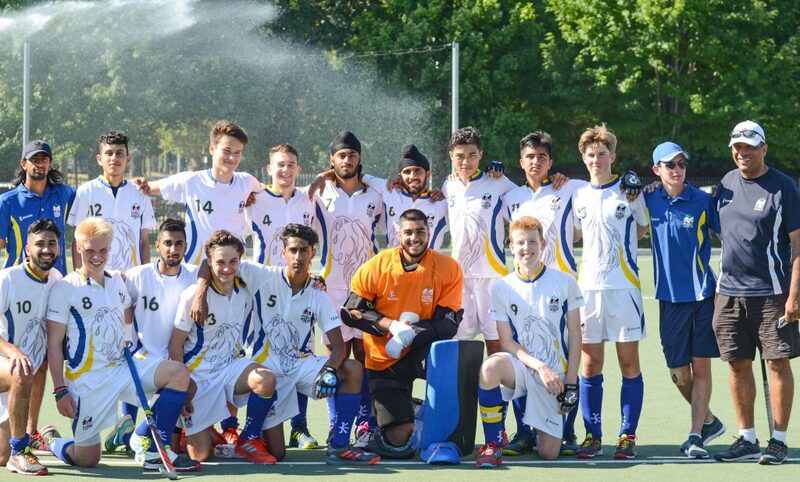 India Club, Premier Division Champions. It’s finally here – Spring League starts tomorrow and we want to hear all about it! Take part in the FHBC Spring League Social Media Contest for a chance to win a “Field Hockey is Life” t-shirt! 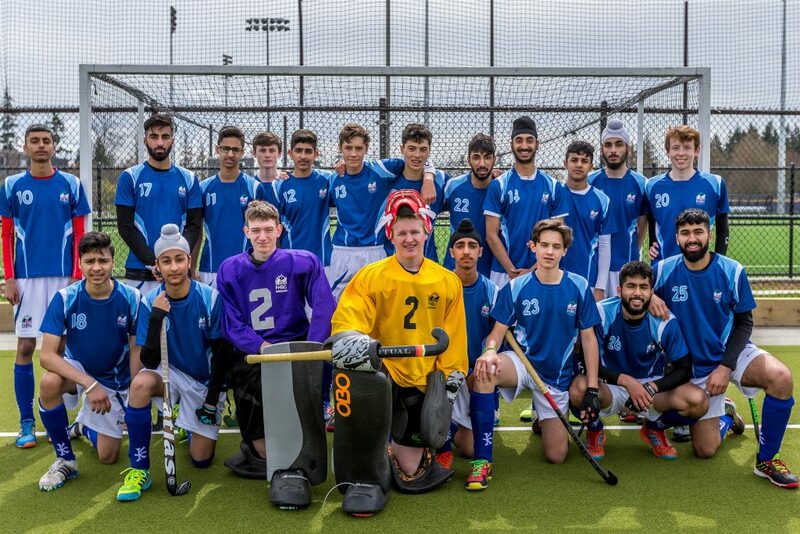 Take a photo or video with your Spring League team, post it on Instagram and tag @fieldhockeybc. E-mail your photo/video to info@fieldhockeybc.com or send it to us via Direct Message on Instagram. Please include your name, contact information and club. The first deadline for submission is Friday, May 3rd. Winner will be announced Monday, May 6th. Photos and videos can be on or off field, individual or team photos. Submissions must contain one or more players in their club uniform to be considered. Individuals may submit up to three entries. By entering the contest, you consent that Field Hockey BC has to right to publish and re-distribute your photo or video. One contest winner will be selected per submission window. The first contest winner will receive a free “Field Hockey is Life” t-shirt from Field Hockey BC! Huge thanks to all players, coaches, volunteers, administrators and officials for making this another successful season! Visit the VILFHA Website for the list of standings and results. Stellers, Div 3 Champions. Photo: VILFHA. 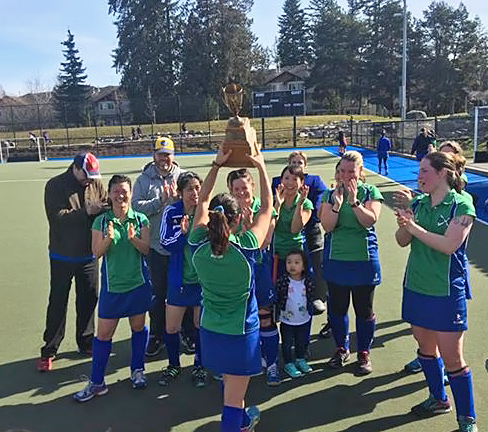 Congrats to All VWFHA Playoff Champions! NV Strikers, Div 2 Playoff Champions. Thank you to all players, coaches, volunteers and umpires for making this another successful season! Visit the VWFHA Website for the list of standings and results.